Explore the Lexus new car model range. Since 1991, Lexus Belfast has been the only official centre for the highly esteemed premium car marque in Northern Ireland. Charles Hurst took over the franchise from Neville Johnson Garages in 1998, retaining the vast majority of the existing staff – meaning that most of our employees have over two decades' experience of working with the brand. Indeed our most senior technician, Eddie Cooper, has received numerous manufacturer awards for his excellent work. Charles Hurst and Lexus are ideal partners, sharing the same determination to provide an impeccable standard of service for our customers. Like our partner manufacturer, which consistently achieves top spot in nationwide consumer satisfaction surveys, our sales team currently has a 100% Customer Satisfaction rating. We stock the full current range of new Lexus cars at our Belfast showrooms. The only marque to produce a comprehensive range of hybrid vehicles, the cars at our Belfast dealership are distinguished from other marques by their low fuel consumption and environmental impact, as well as their aesthetic appeal and outstanding performance. Though proud of our status as a dealer of luxury cars, we are also believers in offering competitive prices and value for money. Our assortment of Approved Used Lexus cars includes ex-demonstrator and ex-manufacturer cars that provide excellent affordability, many with very low mileage. Continuous investment in our aftersales staff and facilities allows us to achieve the personalised service required by our customers. To find out more about Northern Ireland's only Lexus dealer, visit our Boucher Road dealership or contact us via telephone or email. 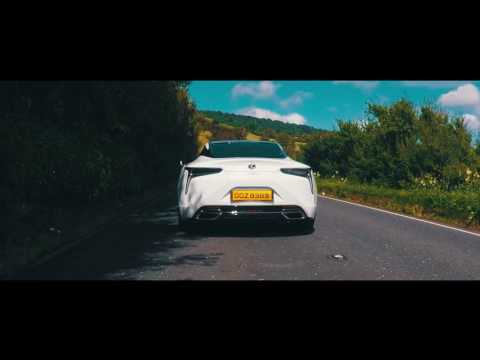 Andrew Johnston, Business Centre Manager at Lexus Belfast takes our incredible New LC to the stunning North Coast to get some amazing shots. Pushing the boundaries of brave design and imaginative technology, Lexus have crafted a car which has both beautiful styling and exhilarating performance.